BACK ON MARKET...FINANCING FELL THROUGH...Appraised over list price. 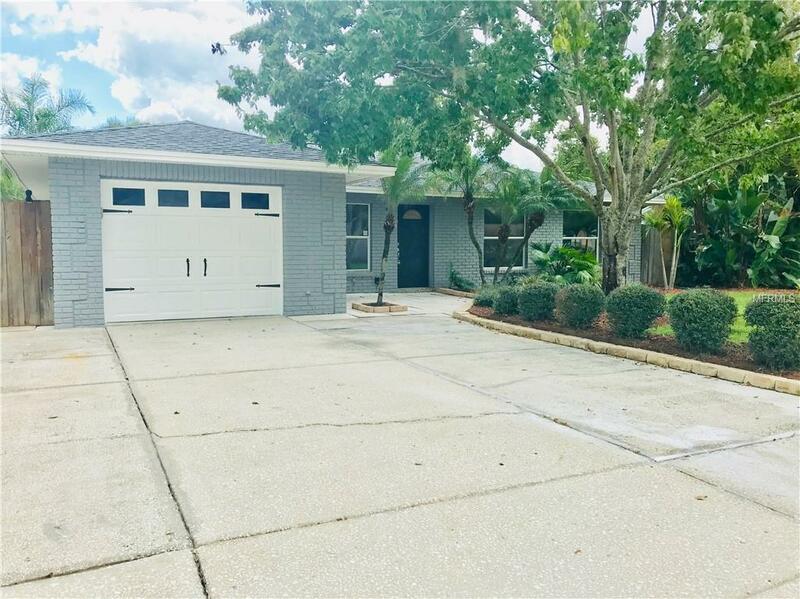 Beautifully remodeled property with POOL within Pasco County and Great Schools. NO HOA/CDD on a CORNER LOT. NEW WATERPROOF Vinyl Flooring throughout your Living Spaces, Hallway, and Bathrooms. NEW carpet in the Bedrooms. NEW paint inside and out plus NEWLY Textured Walls Inside. Kitchen has 42 in Espresso Cabinets, NEW Stainless Steel Appliances, NEW Travertine Backsplash, NEW Granite and Center Island that seats 4. Matching Espresso Cabinets and Granite in both Bathrooms. The Master Bath has a Large Luxurious Travertine Tiled floor to ceiling Shower plus dual sinks. The Lanai is Spacious. Close to everything and has a BRAND NEW ROOF. Make an appointment to view today. Shed and Decking are Sold "As Is" and Agent is also an Owner. Room Measurements to be verified by Buyer. Seller to replace french doors to pool.